According to a recent news article from The Newburyport Press, a Massachusetts man was arrested on a drunk driving charge following a serious accident involving a semi tractor-trailer. The accident occurred around noon on Interstate 95. Authorities say the 26-year-old suspect was driving when he allegedly crashed into the rear of a large tractor-tractor, causing significant damage to his own vehicle. When he crashed his Toyota Corolla into the truck, witnesses have said he swerved to the left of it and started driving in the median. By this point, one of the wheels had been torn off the sedan, and he was driving away on the three remaining tires, leaving a huge cloud of dust and debris behind.Authorities further alleged that he managed to get his badly damaged car back on the highway and attempted to flee the scene of this suspected drunk driving accident. State troopers were immediately called to the scene. They were able to literally follow a trail of car parts to where the vehicle was located. When they arrived at the suspect’s vehicle, it was severely damaged and was missing a considerable amount of parts. Surprisingly, the suspect was not injured in the crash. Troopers quickly determined there were “indicators” that he was driving while impaired and placed him under arrest for leaving the scene of an accident with property damage (hit-and-run), second offense drunk driving, and he was cited for various other moving violations. It is important to understand that his arrest is not a conviction, and he is presumed innocent unless and until he is found guilty in a court of law by a judge or jury beyond a reasonable doubt. As our Boston drunk driving accident lawyers have seen in far too many cases, people will often flee the scene when they are drunk and cause a serious accident with property damage, personal injury, or both. The reason for this is they believe that if they are caught while drunk, they will be arrested, and the trouble they get in will be much worse. While this is possibly true, the reality of the situation is that many hit-and-run and drunk drivers are caught and then they are charged with leaving the scene of an accident involving personal injury in addition to whatever other criminal charges they may be facing. However, the question you may be asking is what happens if the suspected drunk driver is not found. In this case, it would seem like you do not have a defendant to sue and therefore cannot recover for your loss as a result of the drunk driving accident of which you are victim. Fortunately, the law in Massachusetts provides that whenever a car insurance company sells a policy to a driver, they must also include an uninsured or underinsured motorist policy (UM/UIM). 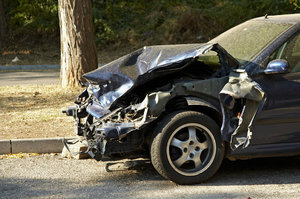 This policy allows you to use your own car insurance to cover the damages caused by a hit-and-run driver, since they are treated like an uninsured motorist. However, your attorney may still have to fight for your right to benefits, since they will treat you like any other claimant despite the fact that you are a customer.